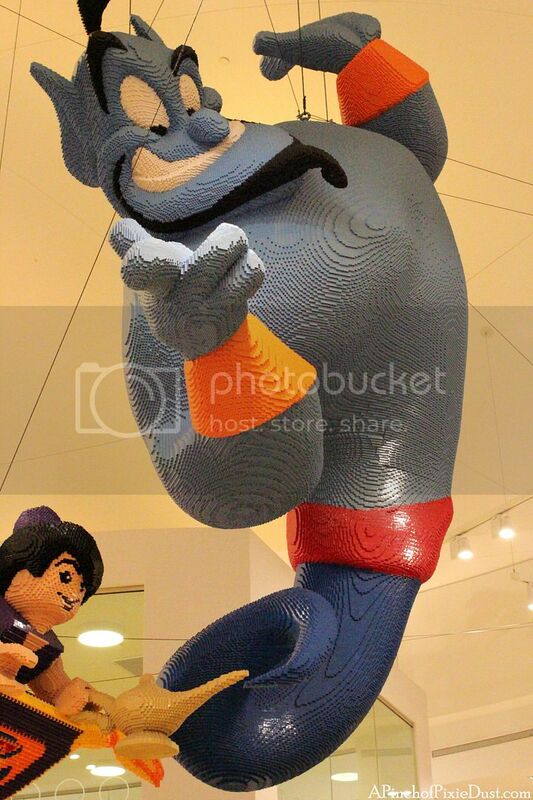 As many of you guessed, that's the Genie from Aladdin. 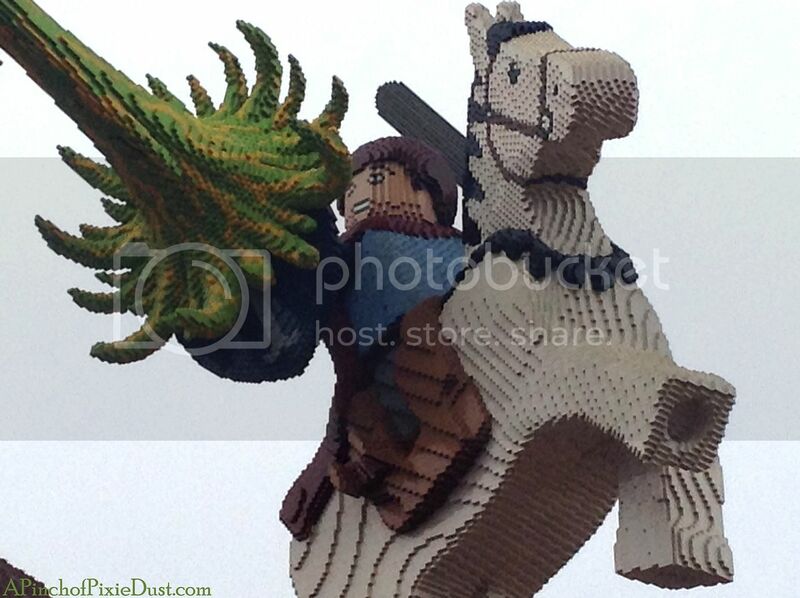 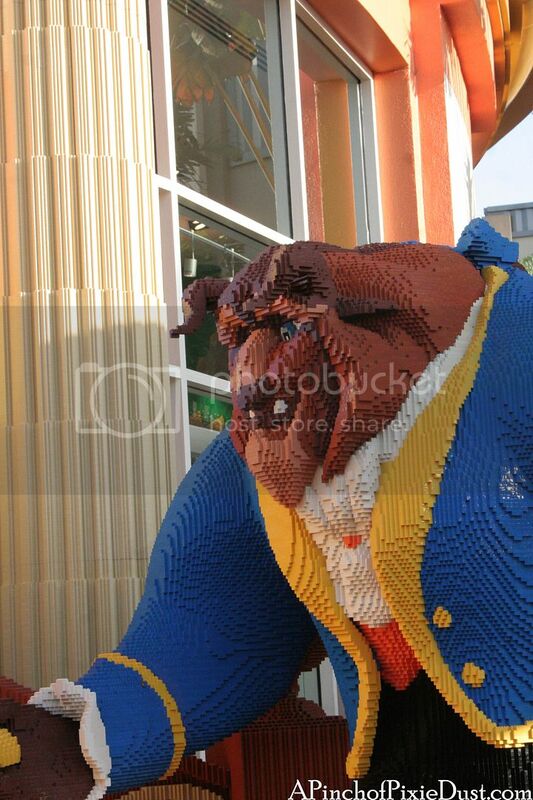 You can find him at the Lego Store at Downtown Disney in Disneyland in California. 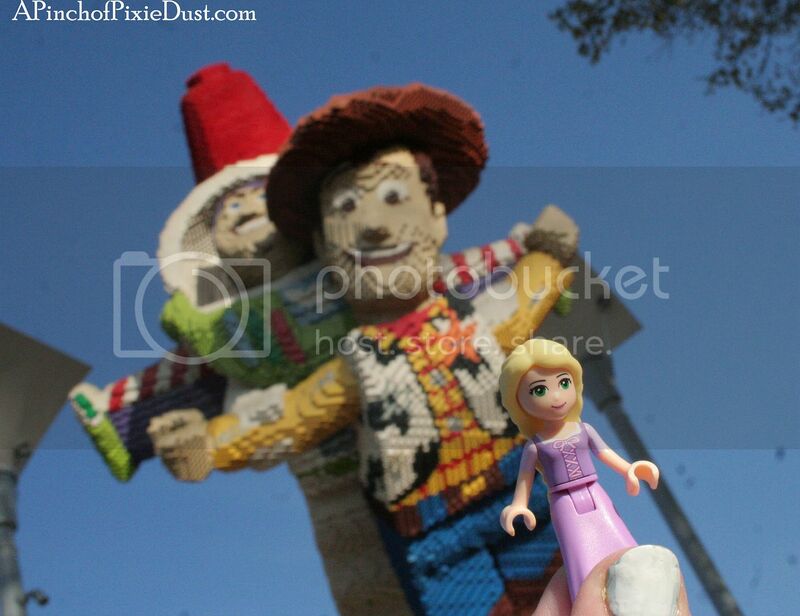 ...like Snow White with her dwarf friends or Buzz and Woody blasting off! 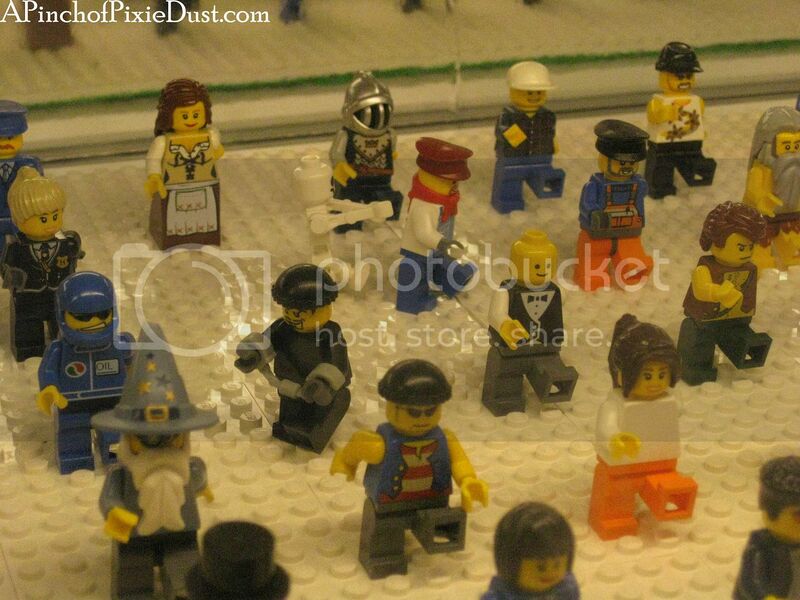 I like all these marching minifigs - there's a robber trying to escape and a skeleton chasing another lego guy! 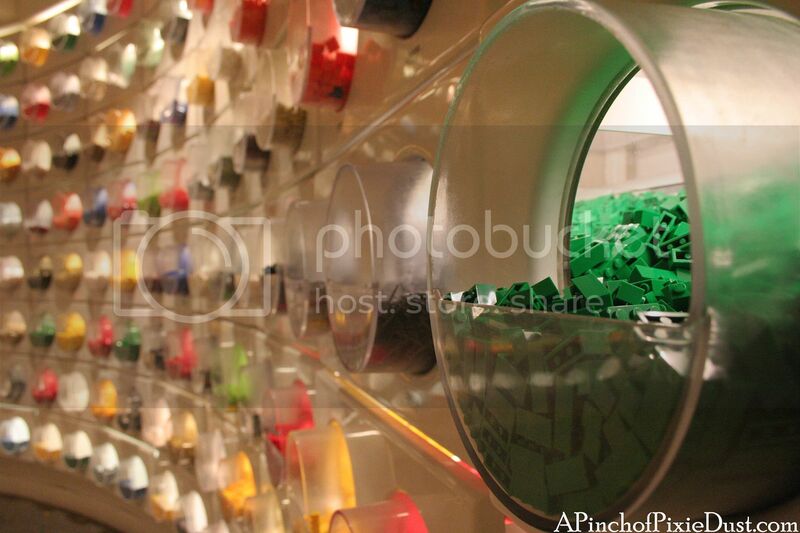 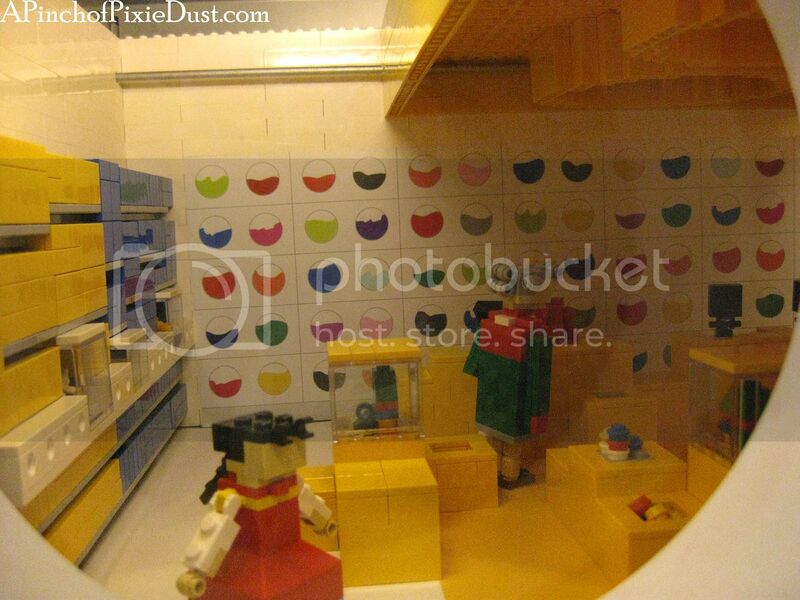 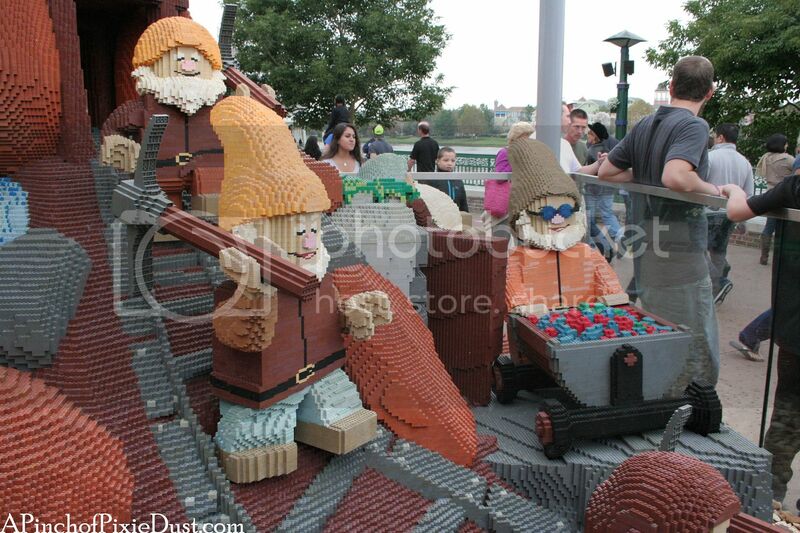 There's also a Lego store in miniature! 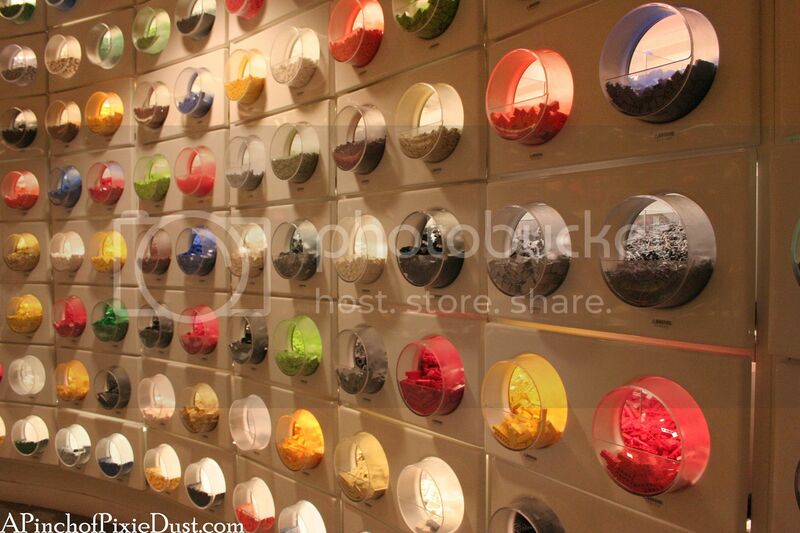 This wall is fun to shop and fun to photograph - I've even seen engagement pics taken here! 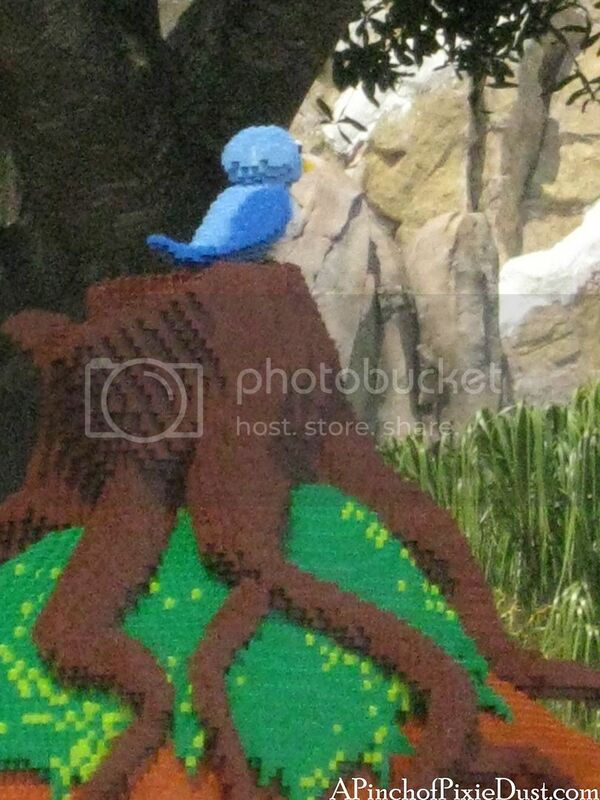 Snow White, Dopey, and some forest friends are just down the way from the mines. 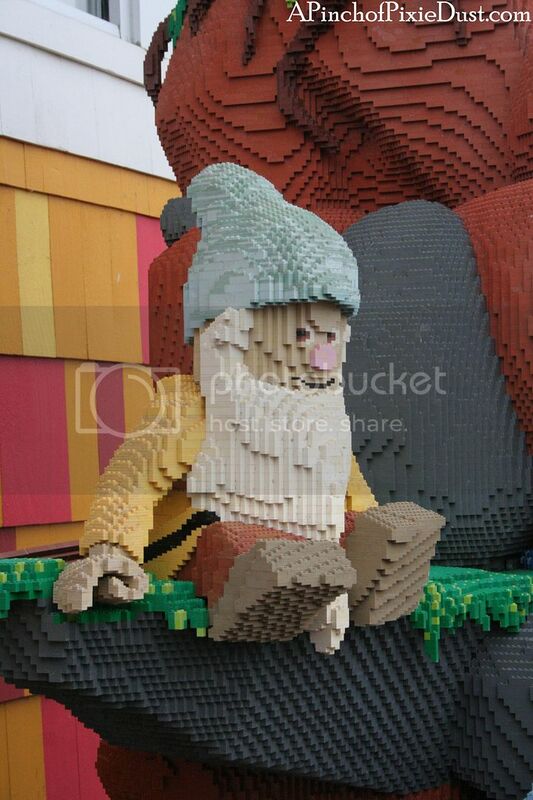 I think Sneezy looks distinctly Sneaky here, don't you think? 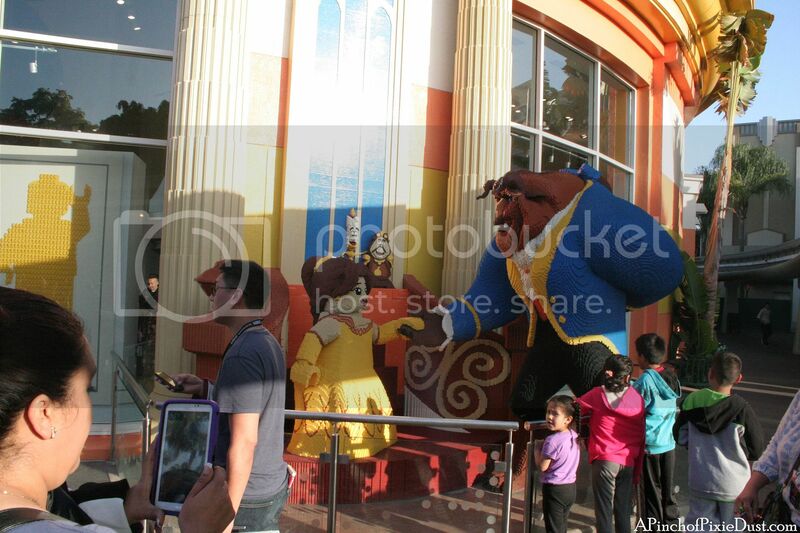 Disneyland's Lego Store has many of the same scenes as the Disney World version - and a few new ones, like this Beauty and the Beast display outside! 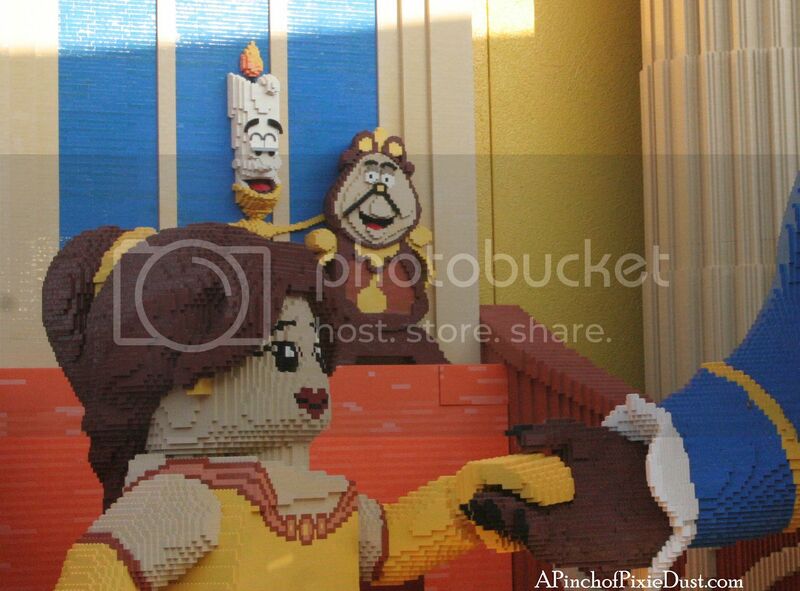 It even has Lumiere and Cogsworth in the background! 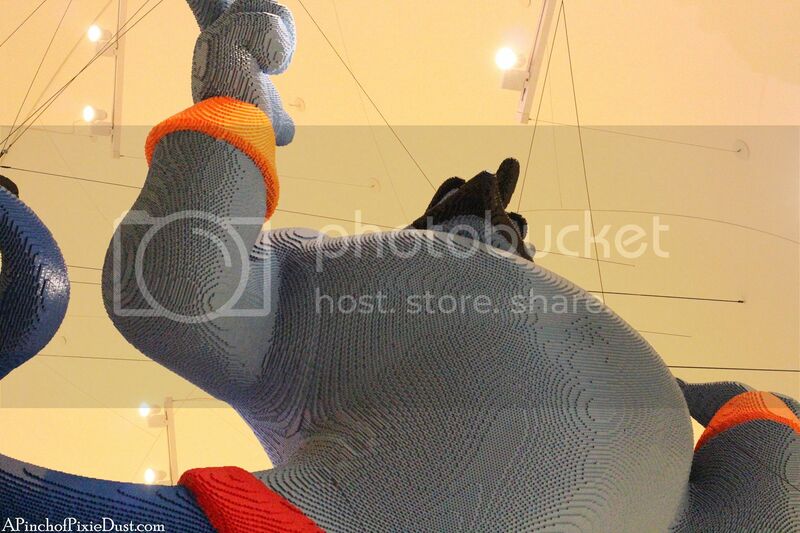 ...with the genie coming out! 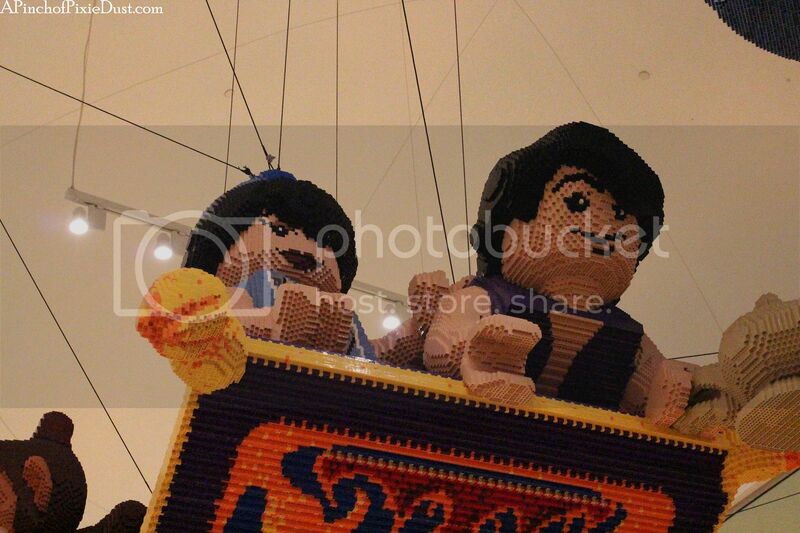 Gotta love Aladdin and the gang - I wonder if they'll be bringing this piece to the Disney World store anytime soon? 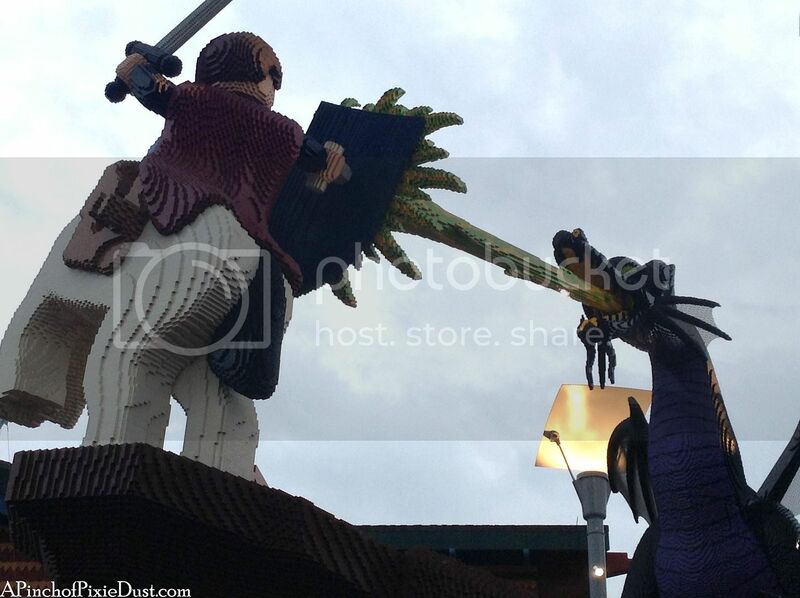 At Disney World the sea serpent Brickley can be found out in the water; at Disneyland he's wrapped around the brick wall! 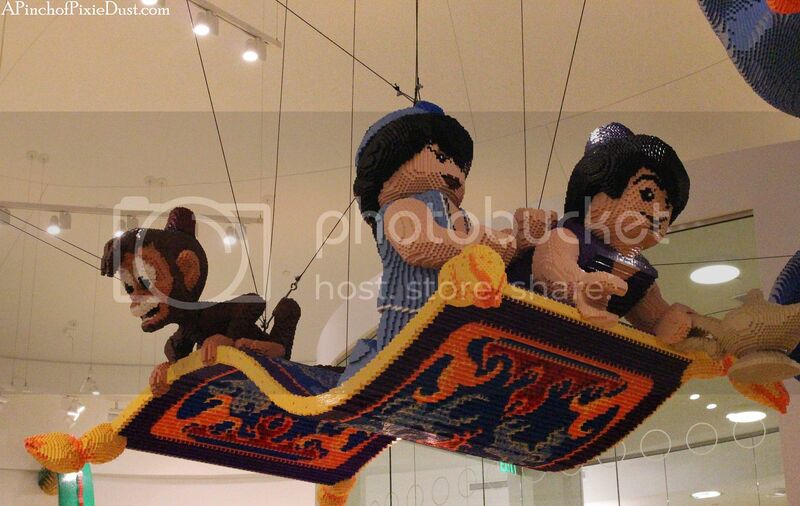 Keep an eye on that Abu - I have a feeling he's looking for apples to steal! 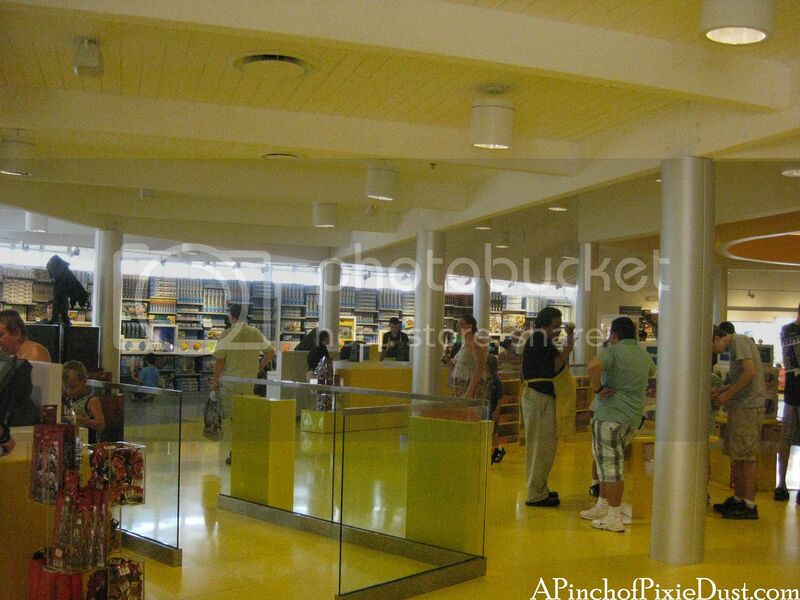 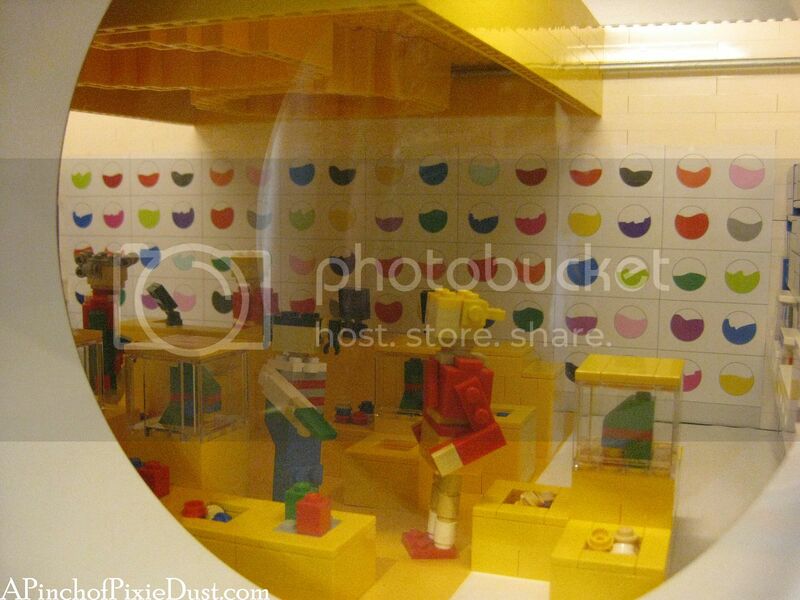 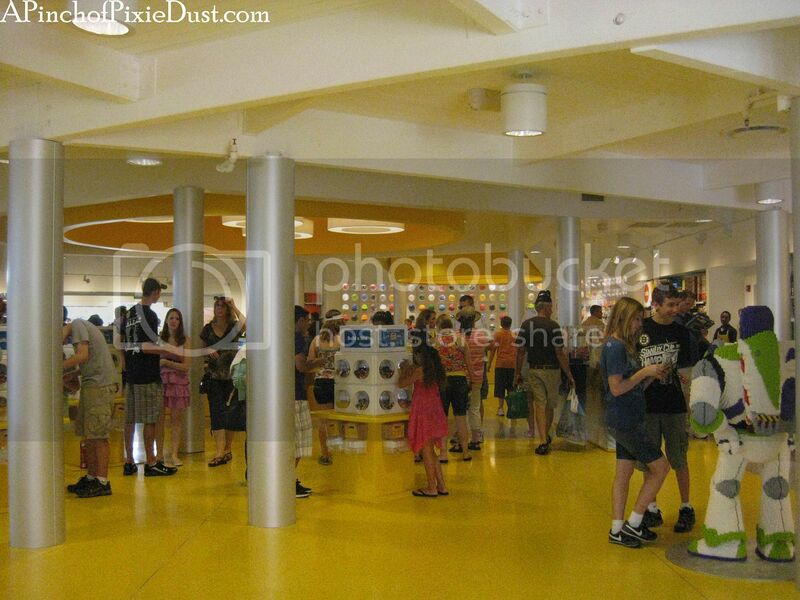 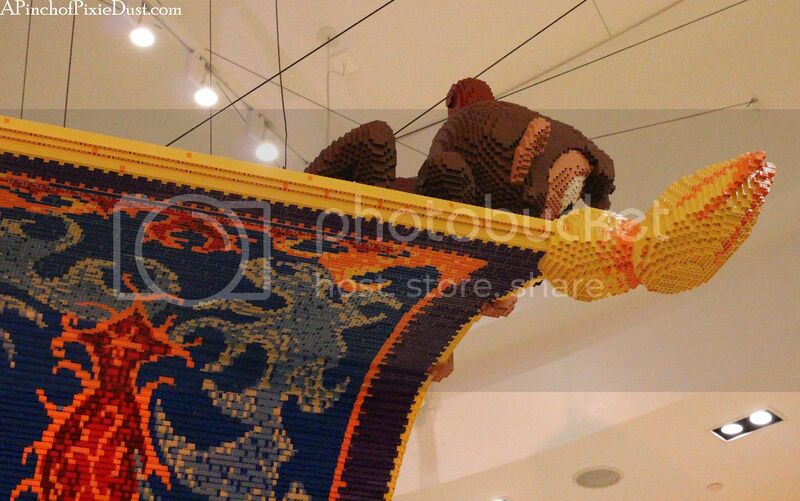 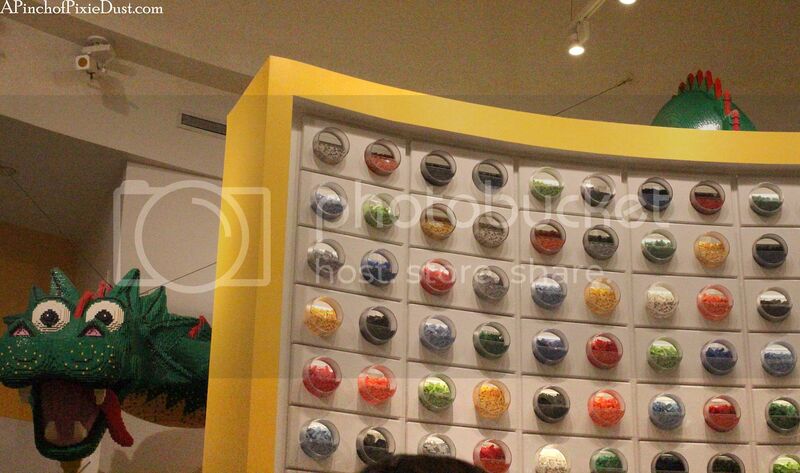 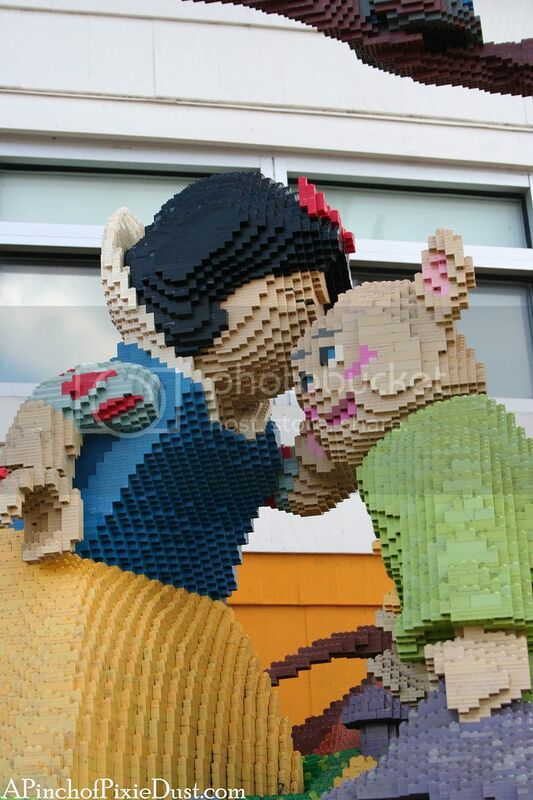 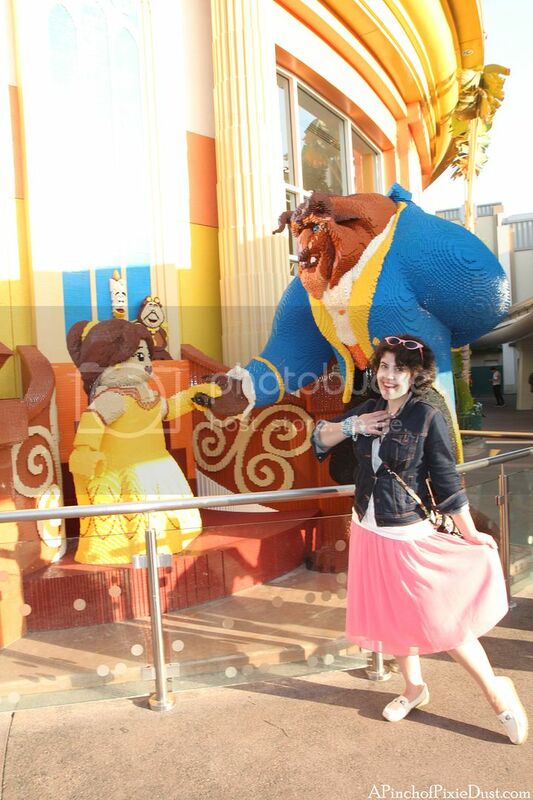 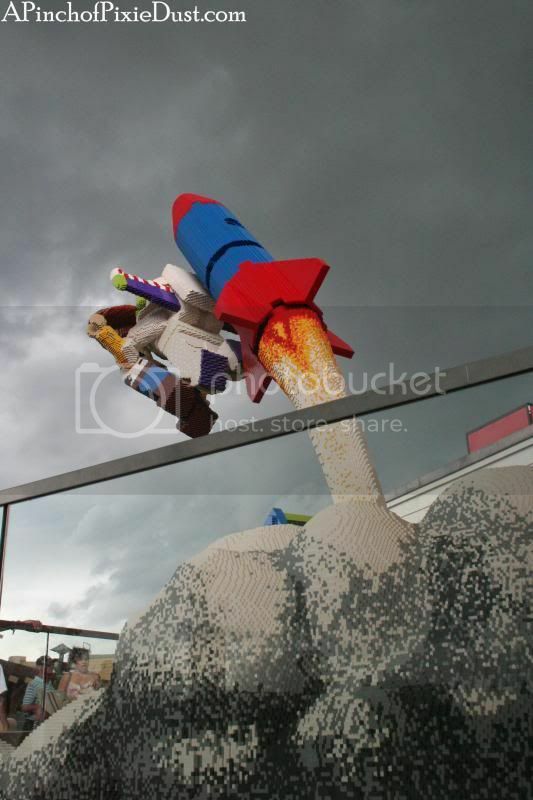 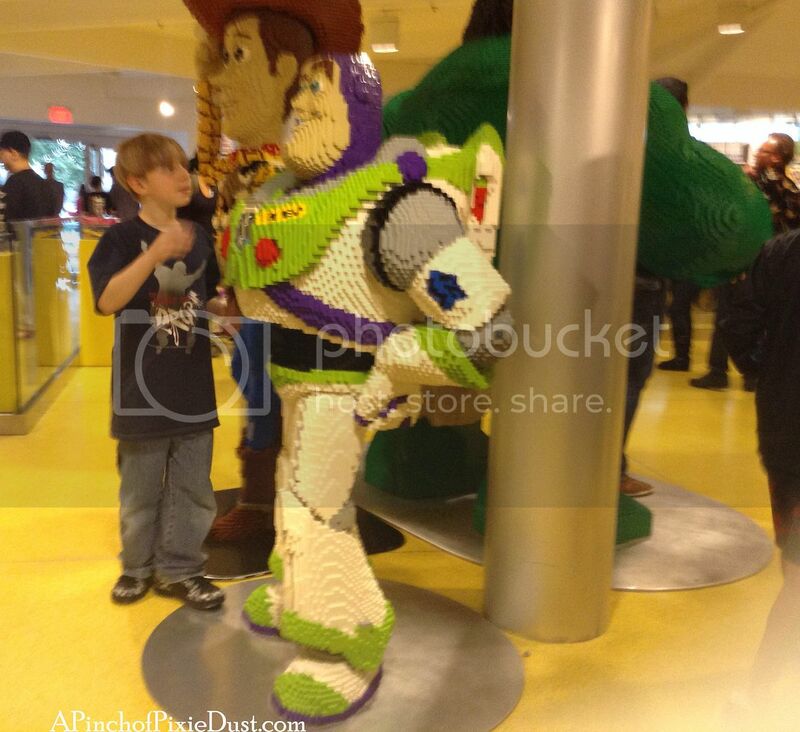 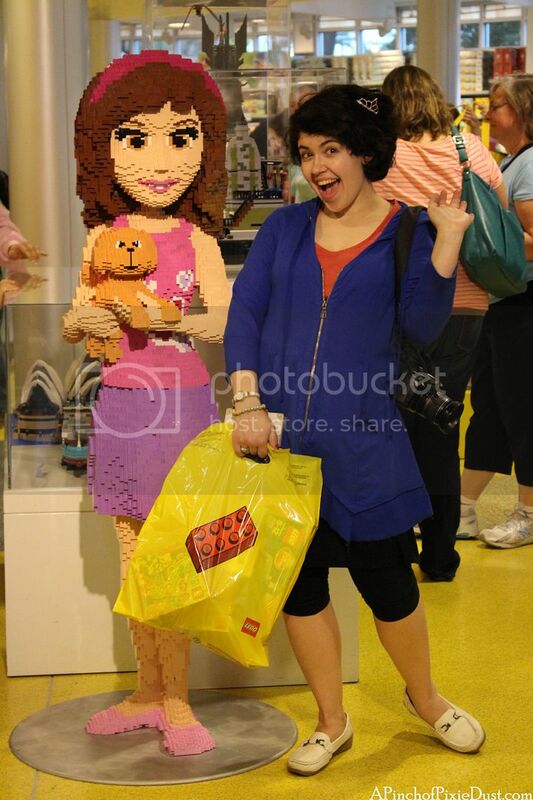 Will you be paying a Disney Lego Store a visit sometime soon?